The under 21s team of the St Helens Town AFC, sponsored by Bizspace, has finished first in the Cheshire under 21s County Football League this season. We’re delighted to announce that a Bizspace-sponsored football team is celebrating after finishing top of its league! We are sponsors of St Helens Town AFC Under 18s and Under 21s teams, which are local to our Bold Business Centre in St Helens. The Under 21s squad put in an outstanding performance to finish first in the Cheshire Under 21s County Football league this season. The team also had the league’s top goal scorer, Marcus Perry, who netted 30 of the team’s 60 goals during the season. Club Chairman, John McKiernan, says the team had held its nerve to claim first place. “The lads needed to win all three of their remaining away games during the last fortnight of the season in order to win. Any draws would have meant they couldn’t have achieved the top spot,” he says. Next year the league will expand to include a number of higher level clubs. The league will be split into two flights, with St Helens Town Under 21s in the premier division. 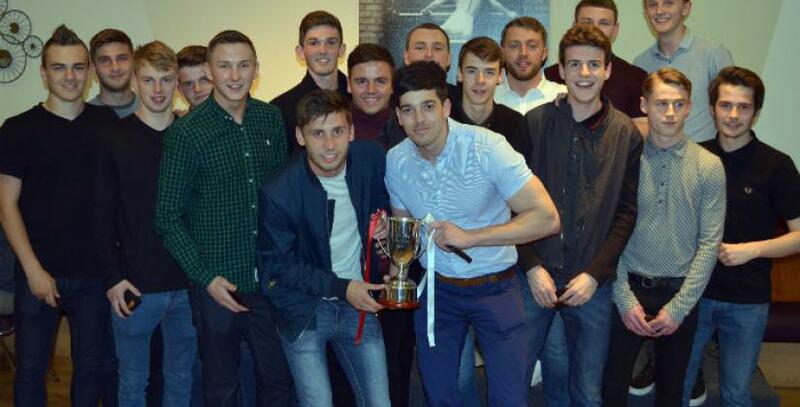 The club’s Under 18s team enjoyed a strong finish to the season, with just two losses in their last 10 matches. John says the home stretch success has buoyed the team’s spirits in preparation for next season. “Although it’s our Under 18s team, many of the players are under 17, so will be playing in the same competition again next year, with much more experience behind them,” he says. We are delighted that Bizspace took a chance of us and gave us their backing for our kits. From our point of view it has been a mutually beneficial relationship and Bizspace have been great to work with. Our Bold Business Centre in St Helens, Merseyside, is home to a selection of high quality offices for rent, industrial units, studio spaces and storage units. Free car parking facilities are available at the site and meeting rooms can be hired by the hour. There is also an on-site café, manned reception and site security. To find out more please contact Business Centre Manager John Howarth on 01925 220 484.